Waterford has been awarded a Purple Flag, the first city in the South East to join the Purple standard. Waterford is now one of over 50 towns and cities across the UK and Ireland who have been awarded with Purple Flag status for their achievements in helping people have a great night out and one of 10 Irish locations awarded. The city went through a rigorous programme called Purple Flag Academy which started in May 2014 including workshops, self-assessment and final application by the end of last year and were in turn assessed independently in December. Passing all 30 Purple Flag criteria as well as the minimum thresholds of decreasing crime statistics, appropriate transport, a vibrant appeal, a stimulating destination and a strong partnership; the town was particularly commended. Nick Donnelly, Purple Flag Co-ordinator for Waterford commented “We are delighted that Waterford has been awarded the Purple Flag status in recognition of our dedicated efforts and investment in the creation and enhancement of our evening and night time economy. We are very proud to fly the Purple Flag, reflecting the strength of ongoing partnerships and engagement activities with all key stakeholders. 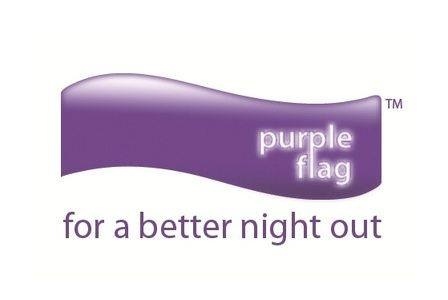 This was very much a team effort and we will promote the Purple Flag, using it as a stepping stone in our continuing development of a vibrant evening and night time environment which is safe and well managed. Cllr. Lola O’Sullivan, Mayor of Waterford’s Metropolitan area, expressed her delight at the City being awarded Purple Flag status. Cllr. O’Sullivan complimented all involved in achieving the accreditation saying that “this award will be of huge benefit to the City and is an endorsement of the excellent work undertaken by the Working Group and Steering Committee, who will continue to ensure that Waterford maintains the high standards of the Purple Flag”. Waterford joins 4 other newly accredited Irish towns Galway, Mullingar, Sligo and Westportbringing the overall number of Irish Purple Flags to a milestone of ten in total. They had their new Purple Flag status formally recognised at the First Irish Awards Ceremony that took place in Dublin on 10th February 2015.